In this mega course bundle, you will receive step-by-step instruction on how to complete 7 of the exact same mixed media projects found in my newest book, Mixed Media Magic (published July 2018)! In addition, you will get 3 bonus projects that are NOT included in the book! Each project can be considered a stand alone (and some are offered as such here at Awesome Art School). Start off nice and easy with this "Glorious Mess" project (as first featured in UK's popular MixedUp online classroom!!). Minimal supplies and steps doesn't have to mean minimal fun!! Let's get this party started, shall we? Next up is another easy (but no less fun) project that also requires no drawing or painting abilities whatsoever! Isn't is awesome to know that you can make fantastic art regardless of where you are with your fine motor skills?! This easy and whimsical flower project is a great introduction to many of my favorite mixed media techniques that I use regularly in all of my projects! It is also relatively simple, relaxing and a great one for all ages to enjoy making. An Awesome Art School art course wouldn't be complete if it didn't include a lesson on drawing and shading faces, right?! I hope it comes as no surprise that there is a project devoted to breaking down these simple steps for you! 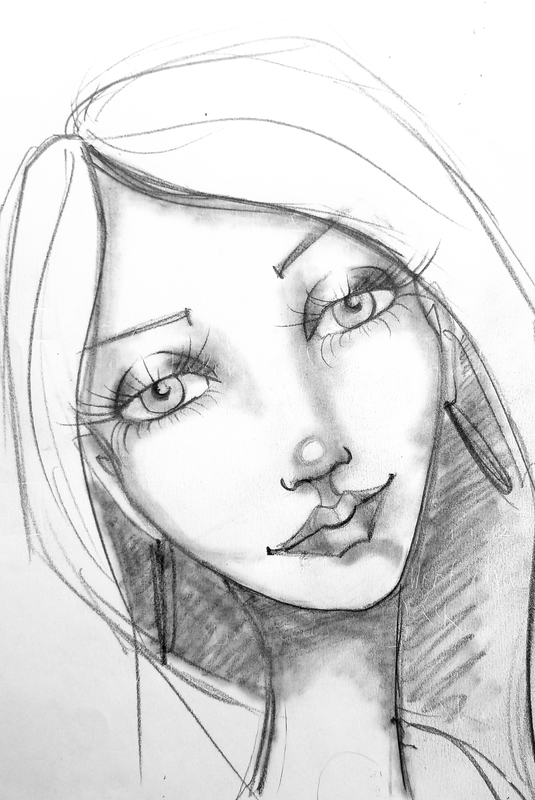 note: This face drawing/shading lesson is also included in the Fun Fab Club! Next up we complete a super easy and crazy fun encaustics project!! I know what you're thinking, it's going to be HARD! But that's where you couldn't be more wrong!!! Come watch the videos I've made for you and see just how easy it is! For the next project we are going to really kick things up a notch!! But don't worry! Again, I will break everything down for you, step-by-step, in real time so you have full understanding of what we gotta do to make this AMAZING CUTE TRIPTYCH! You won't even believe how easy those backgrounds are, wait until you see! Just when you thought you couldn't possibly have ANY more fun in your life, we make this hilarious and completely adorable (and yet also somehow sassy) FOAM HEAD!!! I think my favorite thing about this project (besides it being pretty easy and fun) is that it doesn't require a lot of supplies to make either! As with all the projects, links to supplies are provided with each lesson. You are also encouraged to use what you already have! I am ECSTATIC to bring you this next phenomenal face project. I will walk you through the EXACT method I use to make the face you see on the cover of my book (shown here, step-by-step instructions provided in the book only). Only this time I've caught the whole thing on film and it is 100% real time and guaranteed to educate and knock your socks off! Paint with me!!!! And last but not least I HAD to included a proper art journal spread (heck, 80% of my own work is done in journals for goodness sakes!). That being said, you could make this art just as easily on canvas! The coolest part of this project is that there are so many lessons within it. For example, you learn how to integrate a photograph into a painting. You'll also learn how to draw a face and body! You'll also learn how to use transfer paper to make perfect text! And so on and so forth. So even if you don't put all the pieces together, you can still take bits and pieces of the lesson to use in other ways and in future projects! There is a HUGE and HILARIOUS mistake I make in this one as well...can you guess what it might be???? It is my sincere pleasure to be your online art hostess with the mostest for each and every project, no matter how big or small!! For more information on materials, paint, media, substrates, supplies and fantastic, concrete ways to stay inspired, I highly recommend reading my book Mixed Media Magic for yourself!! And now featuring an added HUGE BONUS lesson, this Mixed Media Day of the Dead Painting! Learn the proper steps to collage, draw and paint this gorgeous piece! My hope with all these lessons and projects is that you walk away with vast knowledge of so many amazing products as well as the complete drawing and painting skills to give you the confidence to create Mixed Media Magical Masterpieces of your own. Many thanks, ENJOY!!! !